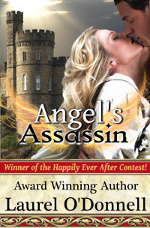 Angel’s Assassin is the featured book on All Romance Ebooks Book A Day Giveaway! You can enter here. Every day they are giving away a hot new romance to a lucky reader! This entry was posted in Blogs, Promotions and tagged angels assassin, laurel o'donnell. Bookmark the permalink.